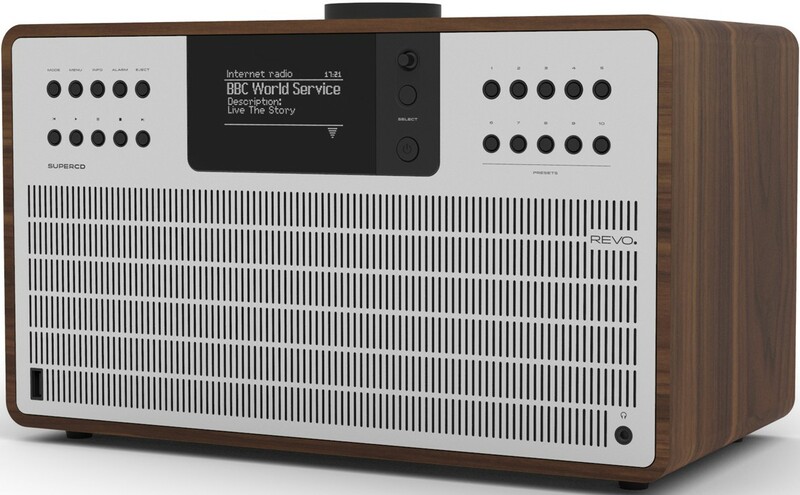 Ultimate one box system with vertical slot-loading CD mechanism, USB, Bluetooth, DAB/DAB+/FM and internet radio along with impressive connectivity. 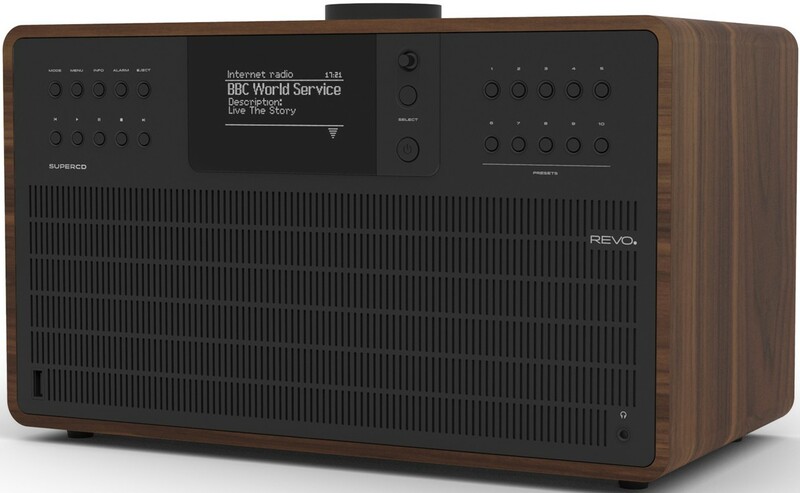 Revo SuperCD All-In-One Music System is a creation of superb functionality and format compatibility to create a versatile audiophile one-box music system. The SuperCD combines a timeless aesthetic with top quality materials, so the SuperCD attracts both audiophiles who crave top quality sound and traditionalists who just love its aesthetic. 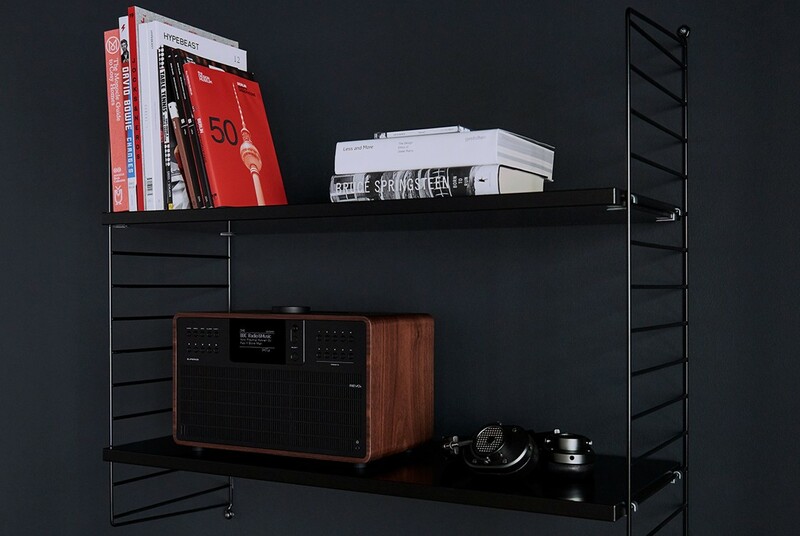 Hand-crafted from only high quality and components, it has a wooden cabinet, selected for its superb acoustic properties, with an anodized aluminium and mild steel fascia and backplate compliment the internal advanced electronics. The SuperCD is constructed from top class American walnut since it has fantastical acoustic properties and delivers a great audio performance. 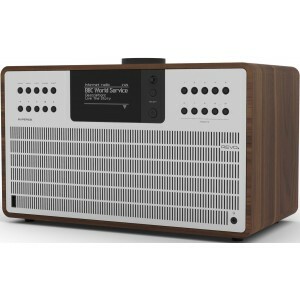 A display is OLED and highly detailed, and combined with joystick controller adds modern control ability, and the twin BMR speaker drivers (3.5”) produce 40 Watts of room-filling digital audio, which is clear and detailed, rich in bass, with an expansive sound field – a signature of the SuperSeries range. The SuperCD incorporates a sensitive DAB & DAB+ tuner and an FM tuner (RDS enabled). With Internet Radio capability enables you to access over 30,000 stations from around the world. Spotify is also included as standard which allows you access to 30 million plus recordings. Bluetooth AptX has been included which facilitates high-res Wi-Fi streaming, plus multiroom capability, means you can create a multi-room set-up. A USB socket has been included which is to charge your phones or tablets, but it can also be to playback USB device stored audio files. You can stream your music to the SuperCD from a wide variety of Bluetooth enabled devices, such as your laptop, telephone or a tablet. The addition of Qualcomm aptX technology means that when supported by the transmitting device, streaming music will be at CD-like quality, rather than the MP3 quality of standard Bluetooth streams. SuperCD’s audio characteristics are the result of combining fine electronic components, with clever acoustic software. The SuperCD utilises top-class components, pure all-digital technology, based on contemporary audio modelling R&D, they have engineered a new bass porting system to deliver category-leading performance. The custom designed equalization setup means audio output is warm with clarity and deep rich bass, without colouration or distortion. The drivers are Balanced Mode Radiator (BMR) type that uses flat diaphragms for the transducer, which are combined with a traditional pistonic driver which results in a high-performing yet compact drive unit, with a wide dispersion and an enlarged sweet spot. Controlling the SuperCD is easily achieved with the UNDOK app (Apple or Android) and gives the user complete control over the SuperCD, including the possibility to create wireless multiroom systems. The app is able to control the SuperCD’s functions, which includes the radios (DAB, Internet, and FM), the Spotify service, Network streaming and USB audio playback. The app also controls playback with Bluetooth or auxiliary in modes in multiroom network setup. The UNDOK technology has the capacity to link five SuperCD's or other UNDOK devices to form a seamless wireless multiroom system. 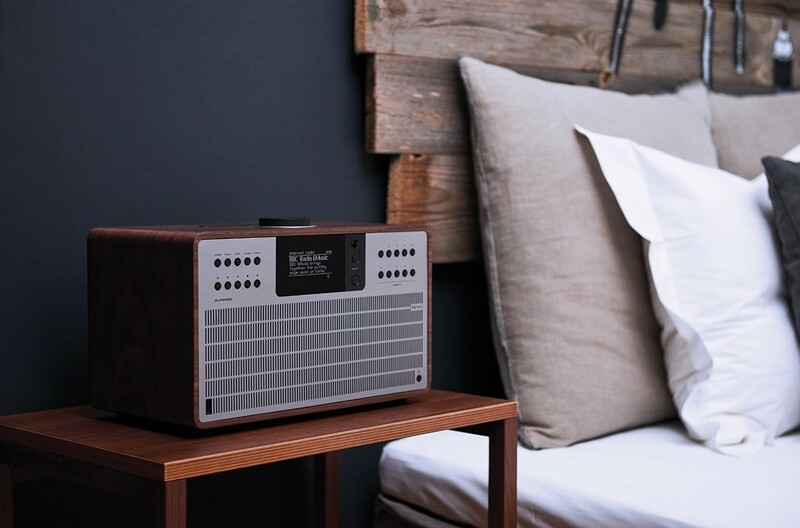 In a multi-room setup, you have the ability to play different tracks in different rooms or having a single song played with synchrony across the different devices around your home.